Sunday, August 15, 2010 at 2:30pm. This event will benefit children with cancer and special needs at Hasbro Children’s Hospital and local public schools. Let your heart move your feet...and join emcee Art Berluti of radio station WADK, as well as Jena Ribeiro, Miss Teen Rhode Island International 2010! Jena is a senior at Cranston West High School who participates in cheerleading, the debate team and is passionate about Special Olympics. Join these wonderful guests and help a great cause! This is a FREE family event that includes local dance performances, as well as great raffle items, the chance to win an IPAD, and kid's activities. 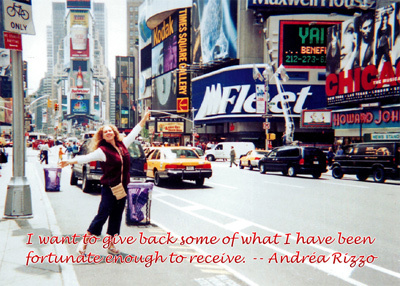 The Andréa Rizzo Foundation funds “Dréa’s Dream”, a pediatric dance therapy program for children with cancer and special education needs at Memorial Sloan-Kettering Cancer Center and in pediatric hospitals and public schools across the country. Created in memory of a young Narragansett special education teacher and survivor of childhood cancer who was killed by a drunk driver at the age of 24, the Foundation aspires to make her dream of providing dance therapy to fragile children a reality. Walkers are invited to gather family and friends to form a team! Walk in honor of an organization, or in memory of someone special, raising funds to benefit fragile children with cancer and special needs. 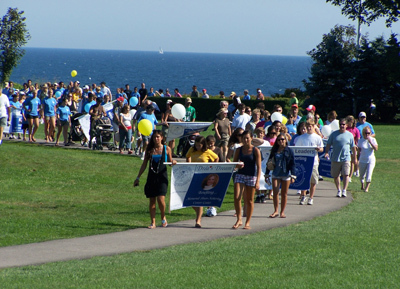 The WALK begins and ends at Rodgers Recreation Center, Salve Regina University. Visit www.DreasDream.org/events for more information and to register for free! $500 prize for Top Pledge Raising TEAM to donate to their favorite charitable organization!